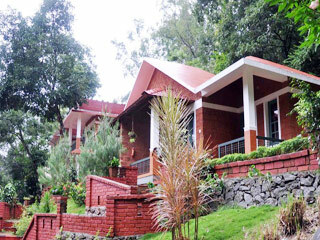 UPAVAN is a 3 star premium resort surrounded by forests on three sides and located at Lakkidi, the gate way of Wayanad.The resort presents the most luxurious, and versatile tailor made holidays for nature lovers and privileged tourists. It is situated far from the maddening city crowds, unfolds the picturesque Wayanad, in Kerala, fondly called God’s own country and also plunges you into an exquisite pool of comforts by offering the superlative amenities. The resort provides cottages and rooms that have breathtaking views equipped with all modern facilities. The resort has Multi Cuisine Restaurant that serves continental, Chinese, Mughlai, North Indian or traditional Kerala culinary delicacies. MAP and AP on request. Located in Lakkidi, Wayand, it is 80kms. from the Calicut Airport and 58kms. from Calicut Railway Station. 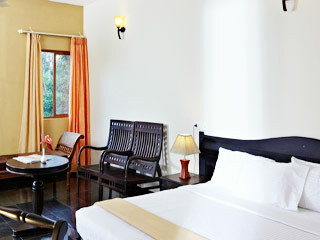 Hotel is in close proximity to tourist attractions like View Point- Wayanad Ghat (1km) and Pookode Lake (2km). If you have not decided yet or wants to customize tour itinerary or hotels listed above in "Upavan Resort Lakkidi", then we can change the travel itinerary and make a personalized, tailor-made holiday package, especially for you. We can modify this travel package as per your itinerary, budget, duration and the tourist places you would like to visit, including transportation and airfare should be included or not. Please fill the form below to contact us.